*All letters mailed on the 1st of the month. The current month counts as month 1. Write a letter and send it to us. Then we’ll securely store it and deliver it to you or your loved ones on the month and year of your choosing — for as little as $0.49/month. 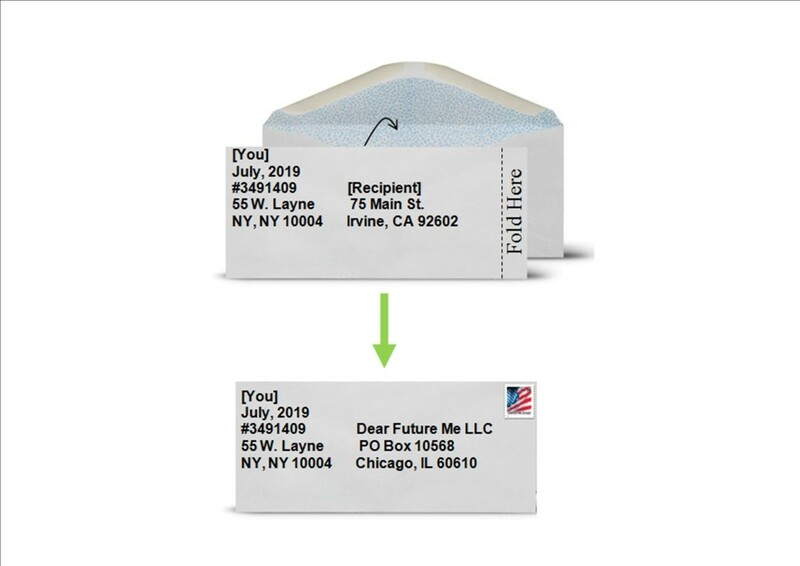 See the Step-by-Step Instructions for more information on how to send a Dear Future Me letter. Decide the month and year you want the letter sent. Place your order above using the “Pay Now” button. You will receive a confirmation # in your email. 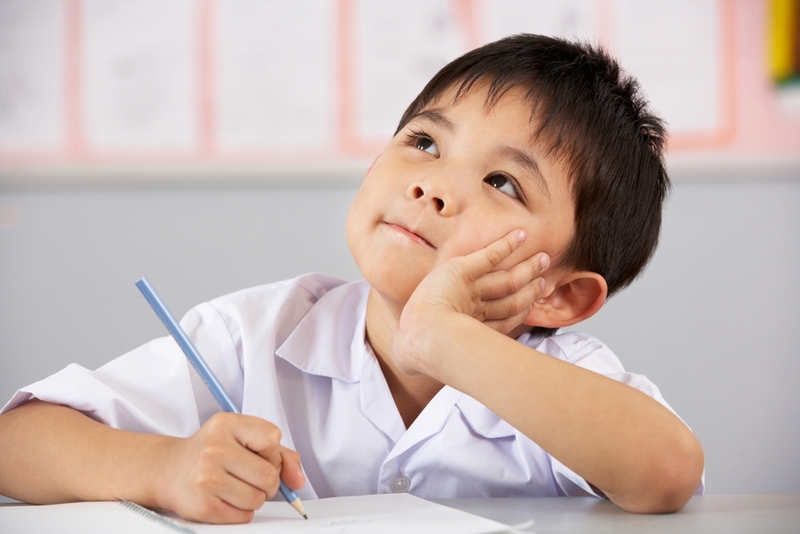 Place your letter in a 4 1/8” x 9 1/2” envelope and address it to your intended recipient in the center of the envelope. In the upper left-hand corner, place (a) your name, (b) the month/year the letter will be sent; (c) the confirmation code you receive from Dear Future Me; and (d) a return address. Make a small fold on the side of the first envelope and slide it into a second 4 1/8” x 9 1/2” envelope. 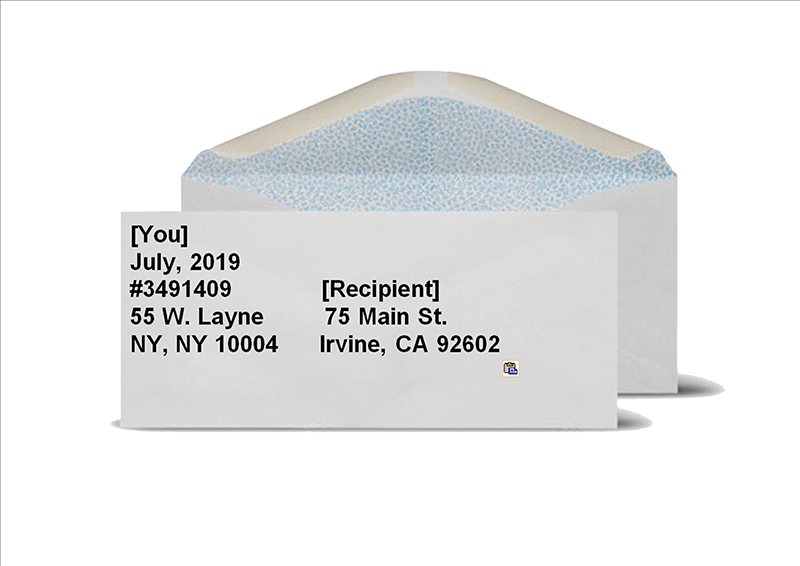 Address the second envelope to the following address, add postage, and place it in the mail. Size Letter must fit in a 4 1/8” x 9 1/2” envelope. Contents Paper is the only permissible content. No legal documents permitted. Shipping Must meet all specifications to ship as a USPS envelope. Must ship to a U.S. postal address. Interested in sending a time capsule? Write us for custom pricing.